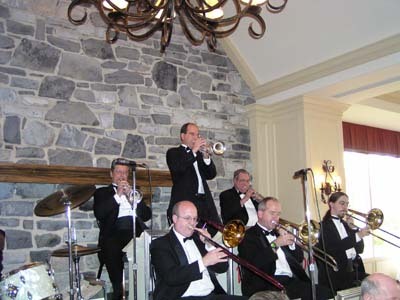 Stand-in and extra roles with Tom Selleck in "Her Alibi," with Eddie Albert and Rip Torn in "Birch Interval," for director Barry Levinson in "Avalon" and for "One Life to Live"
Steve Richwine, trumpeter for the Bill Dayton Big Band, comes from a musical family. 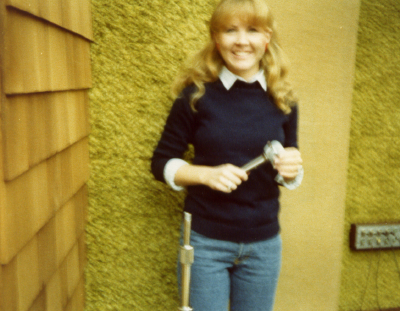 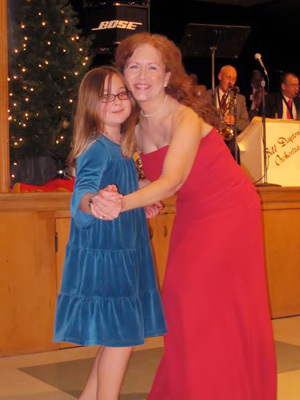 In specific, his dad, Don Richwine, played lead alto saxophone in the United States Army Band. 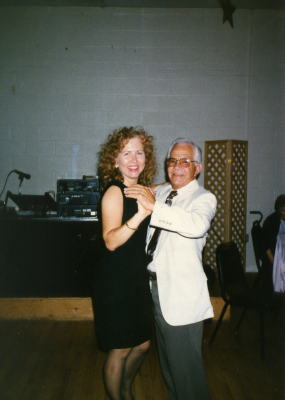 He would continue to play his saxophone and clarinet many years, and even into retirement. 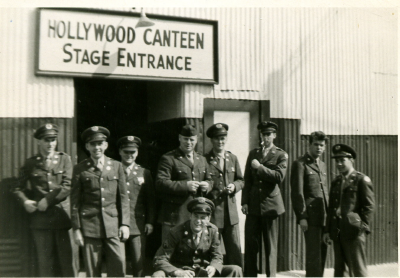 Here is Don (far right) with his military band. 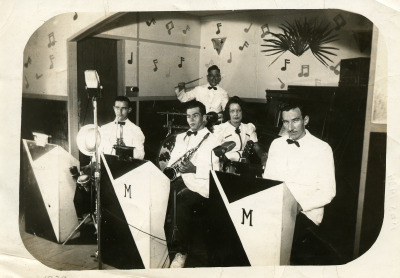 Ten-year old "Billy" Dayton is seen below playing drums in South Dakota in his brother's Big Band, the Johnny Dayton Orchestra. 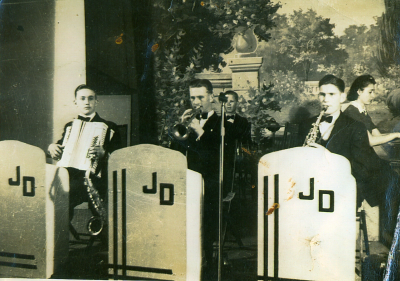 Steve's dad, Don Richwine (center), played reeds (sax and clarient) in York, PA bands. 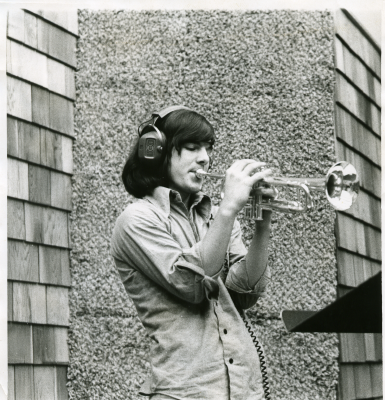 Steve made music with his father, Don Richwine, in society bands in Pennsylvania and Florida. 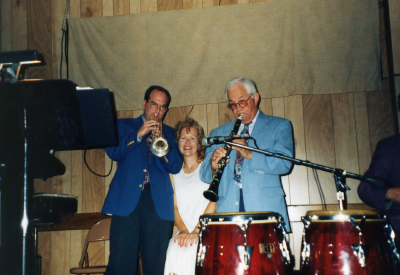 Steve's father, Don Richwine, dancing with Sandra to Steve's trumpet. 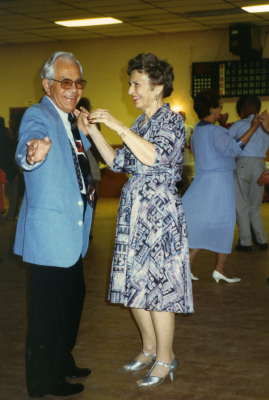 Don and Marg Richwine enjoyed ballroom dancing for many years. 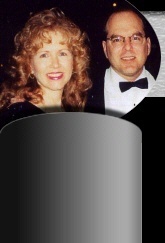 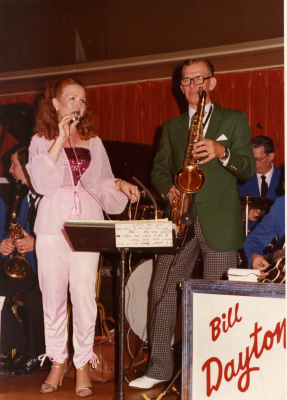 Sandra performing with her father and Big Band leader, Bill Dayton, on the S.S. Brittanis Caribbean cruise ship.